If you were 1 of the 80 million people that tuned in to see Hillary Clinton and Donald Trump face off in their first presidential campaign, what were some of the lessons you could take away regarding First Impressions from these 2 candidates? Due to our survival instinct, our brain is hardwired to judge others on first impressions. In my twenty years as an impression management specialist I have seen how a negative first impression has lost many either a deal, a job or a potential love relationship. So, after the first presidential debate of 2016, I found some critical first impression elements that could have affected the outcome of the presidential candidates at the poll. Social media was buzzing with comments on the candidates appearance from the hair “difficult to tell who is wearing more hairspray” to the colors being worn. The latter raised the most comments from “I’m shocked to the core” to “she wears red cause she’s under the thumb and pay of Red China and Russia.” Most viewers could not understand why the candidates were wearing the opposing party colors. In my mind it was strategically orchestrated – psychologically the meaning of blue is a color that conveys trust and loyalty and has a calming effect. I think it might have calmed the opponent in this instance and not the wearer as my 8 year old daughter even commented – “that lady doesn’t get angry.” Red is a color demonstrating passion, power & purpose. Worn from head to toe it can bring out aggression & raise blood pressure in others (like a matador’s cape to the bull). It’s in the details…Donald take note – a well-groomed businessman should know you need to have a “dimple” in your tie to look stylish. In my opinion, if Hillary wants to attract the millennial vote she could have done it with a more modern cut suit. It’s all in the subtleties of one’s visual appearance. You’ve heard the saying “Actions speak louder than words.” Research indicates that body language can influence as much as 90% of the first impression you create. 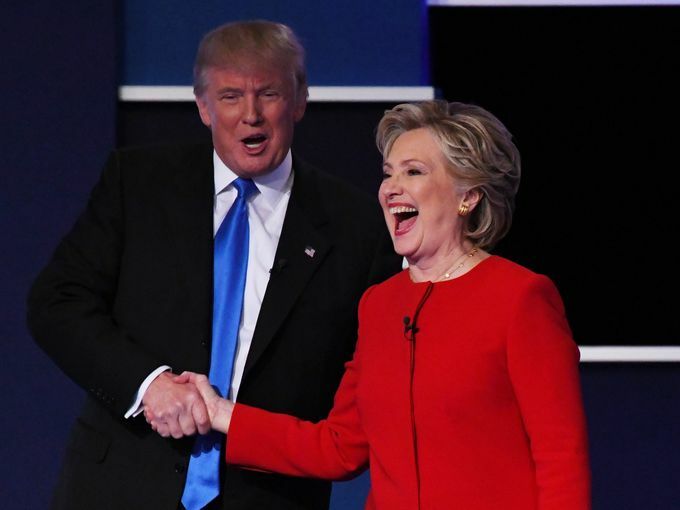 In the opening handshake Hillary extended her hand out first showing assertiveness, Donald ended the handshake with his palm on top of hers – a dominant handshake which subconsciously sends out the message – “I have the upper hand.” Use of hand gestures is recommended when communicating with others but Trump over-used his hand gestures to the point that it made him come across as less composed than Clinton. Viewers commented on Hillary’s “constant fake grin” which was interpreted as self-satisfying. Cries of “hand him a tissue” were echoed around the social media world. Be aware that sniffing, distracting noises e.g. the constant clicking of a pen can be terribly annoying for your audience. Every business interaction should end with a handshake – Trump left the stage without shaking his ‘host’ Lester Holt’s hand, looking like Trump completely snubbed him when the moderator went in for a handshake, this was interpreted by many as rude and inconsiderate. However, Trump did later go back to shake Holt’s hand, but why the initial hesitation? Who knows? Maybe Trump was just caught up in the excitement of having ended his first debate but is this how millions of viewers would have seen it? Through our non-verbal cues and appearance we telegraph messages in milliseconds that can either make or break a first impression. Over her twenty year career as an Impression Management Specialist Haydee has been trusted by a host of FORTUNE 500 companies and has wowed thousands of men and women with her impactful style and powerful message. 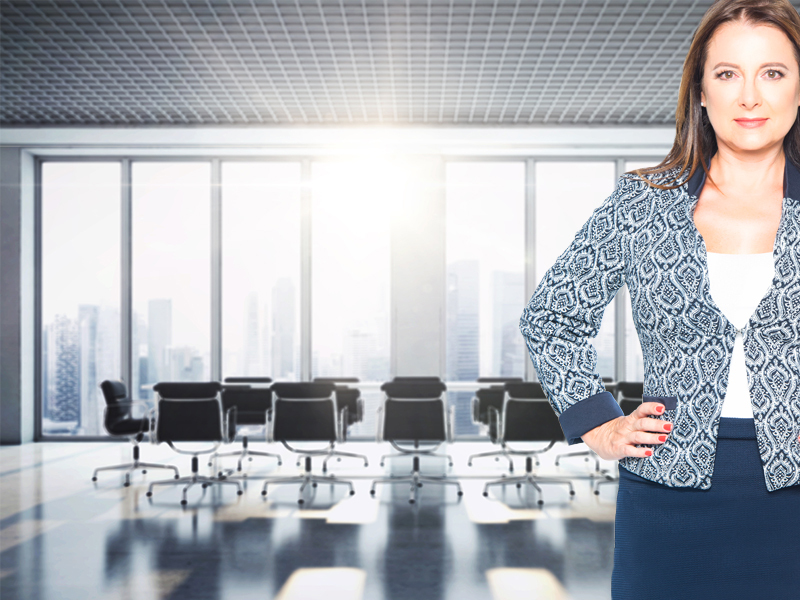 With a proven track record spanning over twenty years, she has empowered professionals worldwide to increase their business success by equipping them to design powerful personal brands that command presence and have memorable lasting impressions. Haydee Antezana has delivered Return on Investment (ROI) for companies and Return On Engagement (ROE) for her audiences. Haydee Antezana CSP, CEO, Professional Impressions.